Bury have signed Wolverhampton Wanderers goalkeeper Aaron McCarey on a one-month emergency loan. The 23-year-old moved to Gigg Lane after Rob Lainton was injured in the Shakers' loss at Bradford and made his debut in the 2-0 loss at Shrewsbury. 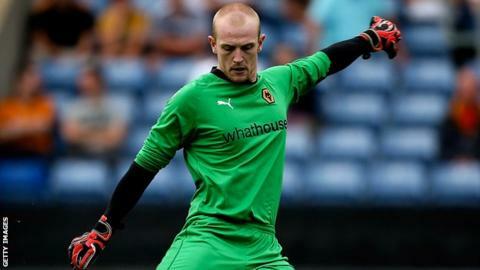 The Irish 'keeper has played seven games for Wolves and was on loan at League Two Portsmouth until last week. McCarey has previously had two loan spells at Walsall and also spent time at York City.